Investment of Cygnet agricultural company in the upgrade of its agricultural machinery fleet in 2017 totaled UAH 78.9 million. According to information on the company’s website, in 2017, the share of corn planted on the areas cultivated by the company was 62%, that for soybeans – 20%, sugar beets – 16% and industrial crops – 2%. 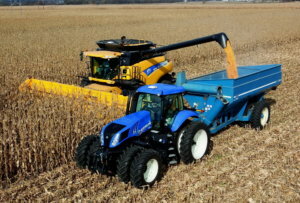 The company last year harvested 122,700 tonnes of corn (the yield was 8.26 tonner per ha), 9,300 tonens of soybeans (2.4 tonnes per ha) and 210,000 tonnes of sugar beets (54 tonners per ha). Cygnet increased milk production by 5.7% in 2017, to 5.3 tonnes. Last year the company paid UAH 169.2 million of taxes. The state-owned enterprise (SOE) Ukrainian Sea Port Authority plans to send UAH 611 million to implement investment projects in the Mykolaiv seaport, which is four times more than it was spent in 2017. The press service of the authority said that these projects will be implemented in 2018-2019. “Increasing the volume of capital investments in the port of Mykolaiv in 2018 is an ambitious goal of the Ukrainian Sea Port Authority, which opens up broad prospects for development. 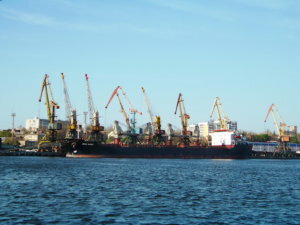 These funds are state investment in the development of the port infrastructure, which together with the funds of private investors will significantly increase the competitiveness of not only the port of Mykolaiv, but also Mykolaiv region, to meet the needs of port operators, taking into account the growing cargo flows and today’s situation with the port business,” Head of the Ukrainian Sea Port Authority Raivis Veckagans said. A significant part of the capital investments (UAH 350 million) is envisaged for the projects on the construction of the main capacities of the port: the construction of berth No. 8, destroyed during the Second World War, current repairs and overhaul of other berths, in particular, to carry out design works for the modernization and reconstruction of berth No. 0 and No. 7 and reconstruction of the mole in the Ochakiv checkpoint. Investments in the amount of UAH 211 million will be spent on operational dredging in the approach channel of the port of Mykolaiv, in the water area and on the approach channel of the Dnipro-Buhsky port. To optimize the movement of heavy vehicles to and from the enterprises of the Mykolaiv sea complex and its dispatching, to prevent traffic congestion on the streets of the city, parking of heavy trucks in unidentified places, road safety it is also planned to implement a project for the construction of a storage parking for heavy vehicles with an area of 35 hectares and create a logistics center in 2018-2019. In addition, taking into account the strategic importance of the port of Mykolaiv for the state, the system of its guarding will be strengthened. It is planned to earmark funds for the introduction of video surveillance and access control to port security facilities. The Mykolaiv port in 2017 increased the volume of transshipment of cargo in comparison with 2016 by 5% and was the third among the largest ports of Ukraine with the volume of cargo handling – 23.5 million tonnes. The aggregate state (direct) and state-guaranteed debt of Ukraine in January 2018 decreased by 0.25%, or by $190 million, to $76.11 billion, according to the website of the Ministry of Finance. In the national currency the state debt decreased by 0.46%, or by UAH 9.82 billion, to UAH 2.132 trillion. According to the report, public debt in January fell by 0.04%, to UAH 1.833 trillion (in dollars it grew by 0.17%, to $65.44 billion), in particular external rose by 0.67%, to UAH 1.088 billion (in dollars by 0.88%, to $38.83 billion). The state-guaranteed debt in January declined by 2.94%, to UAH 298.9 billion (in dollars it decreased by 2.74%, to $10.67 billion), in particular external debt by 3.08%, to UAH 285.6 billion (in dollars by 2.88%, to $10.2 billion). The ministry said the principal amount of the national debt is nominated in U.S. dollars – 41.65%, another 30.38% in the hryvnia, 18.82% in special drawing rights, 7.96% in euros. In addition, less than 1% of the national debt is denominated in Canadian dollars and yen. 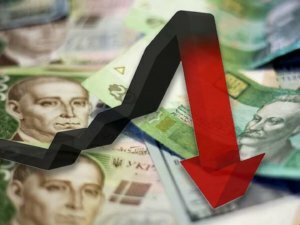 The official hryvnia exchange rate, which the Finance Ministry used to calculate the debt, strengthened in January to UAH 28.01/$1 from UAH 28.07/$1 or by 0.21%. As reported, the Ministry of Finance of Ukraine forecasts the increase in the ceiling state-guaranteed debt by the end of 2018 to UAH 747.6 billion from UAH 579.4 billion announced in the 2017 national budget. So far, it is expected that at the end of 2018 the direct state debt will not exceed UAH 1.999 trillion, while at the end of 2017 it should not exceed UAH 1.824 trillion. 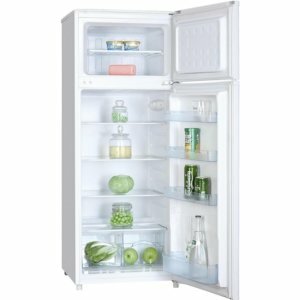 KTD Group, which produces household appliances in Ukraine under the trademarks of Saturn, ST and Laretti, intends in April-May 2018 to launch production of refrigerators with the plan to bring it to about 300,000 units, director of the Ukrainian Association of Electrical Goods Manufacturers Oleh Ivanenko has said. “The timing of launch is slightly shifted (it was planned to open the plant in January-February of this year), but this is due to the need to completely resolve all emerging technical issues, especially in so complicated production. Now the equipment is being debugged, in any case everything will be brought to the end. It is planned to invite the president of Ukraine to the opening,” he told Interfax-Ukraine. As reported, it was initially planned to open the plant in the summer of 2017, but President of KTD Group Oleksandr Hromyko explained the shift in terms to the beginning of 2018 by the need to change the project taking into account energy saving technologies, since it is planned to produce energy saving refrigerators of A++ and A+++ classes. KTD Group has been operating in the household appliances market for 20 years. It is a large supplier of household appliances of different brands in the European market. Some of the products are manufactured in factories in China, Turkey and Taiwan. According to its website, during this period offices were opened in 15 countries, including Dubai, the UAE, and Tunisia. Dragon Capital investment company estimates the share of the group in the Ukrainian home appliances market at 14%. The European Union in March of this year will sign a technical agreement with Ukraine on the issue of EUR 50 million to the Energy Efficiency Fund, European Commission Deputy Director General for Neighborhood Policy and Enlargement Katarina Mathernova has said. “Today’s adoption of a number of important documents on the Energy Efficiency Fund will provide an opportunity to sign an agreement on the fund’s financing for EUR 50 million, and this amount will be used for the fund itself and provision of technical assistance within five years,” she said at a cabinet meeting in Kyiv on Wednesday. In particular, the government approved the regulation on the supervisory board of the Energy Efficiency Fund, a standard agreement with an independent member of the supervisory board, the methodology for calculating energy savings as a result of implementing energy efficiency measures and the main activities and personnel requirements for the management of the fund. “The EU is ready to issue the second part of funding for the Energy Efficiency Fund in the amount of EUR 50 million. As soon as the fund starts working, the EU is ready to provide the second part of financing,” the expert added. 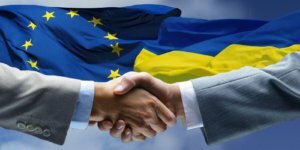 She noted work on the creation of the fund was carried out in a very short time, and this was achieved jointly with the representatives from the Ukrainian side, the EU, a support group from the World Bank, the Ministry of Regional Development, Construction, Housing and Utilities Services. 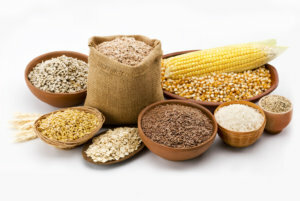 Ukraine since early 2017/18 agricultural year (July-June) has exported almost 27.5 million tonnes of grain crops, which is 7.7% less than a year ago (29.8 million tonnes). According to the biosecurity and seeds supervision department of the State Service for Food Safety and Consumers’ Rights Protection, 13.2 million tonnes of wheat was exported (including 7.3 million tonnes of bread wheat), as well as almost 4 million tonnes of barley and 9.7 million tonnes of corn. The authority recalled that a year ago 13.6 million tonnes of wheat (8.4 million tonnes of bread wheat), 4.7 million tonnes of barley and 11 million tonnes of corn was exported.